Olympic Tactical & Investigations was created to fill a demand for an organization that could offer services and training in all aspects of the Security and Investigations industry. Our staff includes professionals from all aspects of the industry; from US and UK Special forces, to Former and Current Law Enforcement Officers to highly experienced Executive Protection Agents and Industry Leading Instructors, we have the people to get the job done right. By using our extensive network of personnel, we can draw from decades of experience to assemble the right Instructor, Agent, or Team for any need – on the US West Coast or worldwide. After leaving Law Enforcement and recognizing a need for high-level firearms and tactical instruction to industry professionals, Greg founded Olympic Tactical & Investigations. He began networking with industry leaders and worked his way up to Assistant Lead Instructor for the Washington Criminal Justice Training Commission Private Security/Private Investigator and Bail Enforcement Agent Firearms Division. He became a leader surrounded by instructors who had more experience but did not let that slow him down and mastered all the disciplines offered by CJTC. Greg then spent the next few years finding and vetting out those instructors with the same drive and ethics as his own to build a team of industry leaders of his own. He did not stop with Washington State when he reached the top he looked around and found other states with the same needs. He made a push into Oregon and California as well and now holds instructor certifications for the west coast. Greg is not only an instructor but holds credentials to teach and certify Instructors. Greg is active in the development of curriculum for private companies as well as state and federal agencies. Keith began his career as a member of the 2/75 Ranger Bn doing Direct Action Missions with the Line Companies and later served as a Personnel Security Investigator and Intel Analyst in the S2 Intelligence section in Garrison at Ft. Lewis and as a member of an elite COLT team (laser targeting team) as Intelligence Attachment in the field. Keith served in this capacity during Operation “Just Cause” at Rio Hato in the Republic of Panama where he was decorated for his actions on the Colt Team as well as for interrogation of prisoners and the collection of weapons while hunting members of the “Dignity Battalions” in Alcalde Diaz Panama. During Operation “Desert Storm” Keith moved to the Ft. Lewis Special Reaction Team (SWAT) attending the CJTC Basic SWAT course and becoming proficient at skills like Close Quarters battle, Surveillance, Hostage Rescue, Tactical Site Surveys, High Risk Warrant Service, Counter Drug Operations and Dignitary Protection as a member of the “Entry Team” and served as an Alternate Sniper. Upon separation from the US Army, Keith did Private Security and Protective Services with Wakenhut and Retail Security and Investigations with Target Stores. During this time he worked with local and Federal Law Enforcement to investigate External Fraud Rings and Counterfeiters. After a long break doing everything from Blasting and Framing to running restaurants and Food Service Sales and Consulting Keith has recently come back to the Private Investigations, Private Security and Bail Bond Recovery Agent industry as Sole Proprietor of “The Edge Group” Bail Bond Recovery Agency, Private Investigator, Protective Agent and Trainer for Olytac and “Master Security Officer” for Allied Barton and Boeing. Keith is also the owner of The Edge Group, a Washington State Bail Recovery company. Rich began his career in the United States Navy and quickly found himself at home in Anti-Terrorism/Force Protection(ATFP). He worked his way up to Assistant Anti-Terrorism/Force Protection Officer in charge of training and directing security teams. As a member of the Security Alert Team/Backup Alert Force (SAT/BAF) and Ships Self Defense Force (SSDF) Rich’s experience and motivation propelled him into the positions of Chief of the Guard and Force Protection Action Officer. After 24 years of service he retired from the Naval service in 2008 and moved to the private sector on a contract with the Department of Homeland Security. Rich currently splits his time with his continued professionalism between two companies conducting Maritime Security, High Value escorts, Executive Protection, and Surveillance and Investigations. He is licensed in Oregon and Washington and has taken on the responsibility of becoming a Private Investigator in Washington State. After graduating high school Andrew enlisted into the United States Army Infantry. During basic training he was awarded the opportunity to try out for the 75th Ranger Regiment. After Andrew completed the Ranger Indoctrination Program he was picked up by the Rangers and spent his military career as a part of the 2nd Battalion, 75th Ranger Regiment. Andrew has been deployed multiple times in support of Operation Iraqi Freedom and Operation Enduring Freedom. While on the infantry line Andrew filled the positions of Rifleman, Grenadier, Stryker Driver and Assault Team Leader. After completing his time as an Assault Team Leader, he tried out for the Sniper Section and was selected into the 2nd Battalion Sniper Platoon. Andrew was deployed to Afghanistan as a Sniper Team Leader and coordinated teams for unit defense on numerous high threat combat missions. After leaving the service Andrew jumped in, both feet, to the private sector. With fresh skills he was picked up and deployed on several High Threat assignments to include close protection details. Andrew immediately began the firearms instructor certification process and is currently a CJTC Handgun Instructor, NRA Range Safety Officer, Private Investigator and security specialist. Brian Post served as an Infantryman in both the US Army and the Washington National Guard from 1984 to 1989. During his enlistment Brian earned several awards and decorations, and was honorably discharged as an Infantry Squad Leader with the rank of Sergeant E-5. Brian then tested for and was sworn in as a police officer in a medium-sized city department near Seattle, and nearly 11 years later he laterally transferred to a rural sheriff’s office as a deputy sheriff. During his 18 years of law enforcement Brian was fortunate to have been assigned to a number of collateral and specialty positions. These include assignments as a member of the Special Operations Section, SWAT, Field Training Officer, Firearms and Tactics Instructor, Defensive Tactics Instructor and Patrol Rifle Armorer. Brian has successfully attended a number of national and international courses including Tactical Explosive Entry and Explosive Handlers School, SWAT/CQB, Instructing Female Shooters, Aircraft and Bus Assault and Advanced Undercover Operations. Brian developed and instructed one of the first Active Shooter Response and Down Officer Rescue courses in Washington State, providing that instruction to officers of several local, state and federal agencies. Brian has been a guest instructor on Domestic Violence Investigation and Undercover Operations for Chapman University, and he is a recognized firearms expert in Snohomish and Jefferson County Superior Courts. In 1999 Brian was entered into his former department’s “Honor Roll” for his actions during an exchange of fire with a multiple homicide suspect. Since leaving law enforcement Brian has continued his professional development by successfully attending the CJTC Crisis Intervention Team training and obtaining CJTC certifications as a Civilian Security Pistol, Shotgun, Patrol Rifle and Scoped Rifle instructor. Brian is also a volunteer with the Law Enforcement / Fire Fighter support organization Safe Call Now. While serving in the United States Marine Corps as part of the Military Police was introduced to Protection Services as part of the diplomatic security to post V.I.P. guests. In 2001 Sean decided with his passion for law enforcement and new found love of for protection work, joined the Las Vegas Metropolitan Police Department. Sean then worked himself up through SWAT. Late 2004 he changed gears and relocated to Washington State where he concentrated his efforts in becoming an instructor of Defensive Tactics and Firearms while working as a Field Training Officer in Battle Ground Police Department until June 2012. Sean maintained his commitment to firearms and self-defense training and has been committed to raising the bar for professionalism within the industry. Sean currently works as the Master C/DT Instructor at the Washington Criminal Justice Training Commission. Starting in 1989 with EMS Darin became the Operations Coordinator/Medical Services Officer/Heli-Rescue Medic and a Flight Medic. Extending he joined the FEMA Disaster Medical Assistance Team then settled in at Whidbey General Hospital were he soon moved up to Battalion Chief/Special Services Officer. Darin then pushed on to Deputy Chief/Medical Services Administrator for Camano Island Fire & Rescue/DBA Stanwood Camano Fire Department. Overwhelmed with the need to make a difference in the War of Terrorism, Darin shifted gears and contracted for Protection Services and instructed while serving as a contractor in Afghanistan for companies like Occucare International/FLUOR Government Group, Aegis Defense Services Ltd and Scimitar Risk Management Consultancy. Currently Darin is working in Alaska. Chris began his career as an 11B infantryman with the Oregon National Guard he then switched to security in 2001. Chris has as been employed as an unarmed, armed security professional as well as a Bail Enforcement Agent. Chris began his instructional career in 2005 and quickly built a name for himself in the training industy. 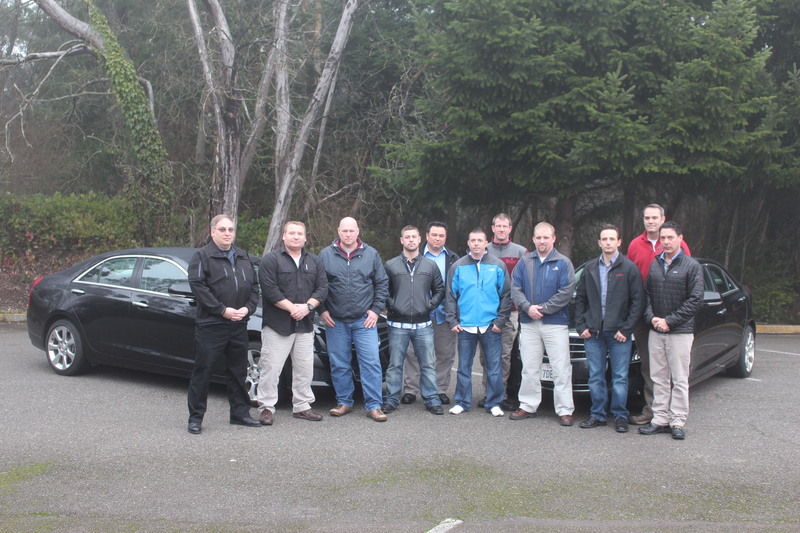 Certified ICP (master instructor) for Washington CJTC. Other instructor certifications include Oregon DPSST, Taser, Expandable Baton (MEB and ASP), OC Pepper Spray, PATH (Handcuffing), and Management of Aggressive Behavior. Chris is currently employed full time with the Bureau of Reclamation as a Response Force Officer located at Grand Coulee Dam. Marty started out in the United States Army and was deployed overseas. When Marty returned to the United States he worked with the King County Youth Detention Center and returned to College to get a degree in Criminal Justice. 1995 Marty then joined the City of Mercer Island Police Department and where he received credentials for both Marine Patrol and SWAT. 2004 Marty changed gears to the private sector and has worked as a School Security Officer SSO and is currently working for the Port of Tacoma providing Maritime Security. Marty has also become a Licensed Private Investigator in Washington. After a full career in the United States Coast Guard from both a field service Medic and Instructor retiring in 2011, Marti continued to teach in the private sector. He stayed true to his passions of water and medical training and began teaching Boaters Safety Certifications and as holds a Level 7 Instructor for the American Safety and Health Institute teaching weekly classes in multiple states. As part of his natural progression in the private sector has become an Armed Private Investigator. Private Investigator Colton is a private investigator with a background in digital forensics, open source intelligence analysis, collections, and information security. While working with penetration testers, security software developers, and threat intelligence professionals in the Southwest US, he noticed an opportunity for increased cooperation between the infosec and physical security industries. At OlyTac, Colton is focused on providing clients increased security, privacy, competitive advantage, and peace of mind via the strategic use of information and technology.